Why is the Gujarat State Petroleum Corporation being palmed off to ONGC? “They are not India-Pakistan. They can easily merge together.” This was Petroleum and Natural Gas Minister Dharmendra Pradhan talking about two public sector companies: Oil and Natural Gas Corporation Limited (ONGC) and Gujarat State Petroleum Corporation (GSPC). ONGC is owned by the Union government and GSPC by the Gujarat government. The Petroleum Minister has pronounced that these two companies are not at war and that they should merge. He has ruled that ONGC, that has a net worth of Rs.1.5 lakh crore, should buy GSPC, that has outstanding loans of Rs.20,000 crore. In other words, according to the Minister, ONGC should launch a ‘surgical strike’ on GSPC, except in this case it will be to help GSPC out of its woes and be executed covertly. To be sure, there may be no posters this time showing Mr. Pradhan as Hanuman helping Lord Rama (Prime Minister Narendra Modi) save Sita (GSPC) from Ravana (debts). But that is precisely what this is all about. The sordid saga of GSPC’s misadventures over the last decade is now well known. Bombastic claims of gas discovery in the Krishna Godavari basin (KG) were madeby the then Gujarat Chief Minister, Narendra Modi, in 2005. Using this alibi, GSPC hasborrowed Rs.20,000 crore from 15 public sector banks in the last ten years. No gas has been produced and no explanation provided for the Rs.20,000 crore. GSPC’s annual interest dues alone are around Rs.2,000 crore. Its income before interest is less than one-tenth of its dues. Incredibly, just as GSPC kept marking down its proven reserves from 20,000 trillion cubic feet (tcf) in 2008 to a meagre 1.1 tcf by 2015, its loans from banks jumped from Rs.2,000 crore to Rs.20,000 crore in exactly the same period. Credit rating agencies have now downgraded GSPC. Surely notwithstanding the fact that the current RBI Governor was an independent director on the board of GSPC from 2005-06 to 2013-14, and also served as its audit committee chairman that typically approves company borrowings, public sector banks should soon follow suit and classify GSPC as a non-performing asset. The Comptroller and Auditor General (CAG) has issued a scathing report highlighting misdeeds in its functioning and the company is about to go bankrupt. To get out of this mess, Mr.Pradhan has a creative solution: palm GSPC off to another cash-rich public sector company. This is the ‘surgical strike’ proposed by the Petroleum Minister — ONGC should buy GSPC because they are not India and Pakistan! 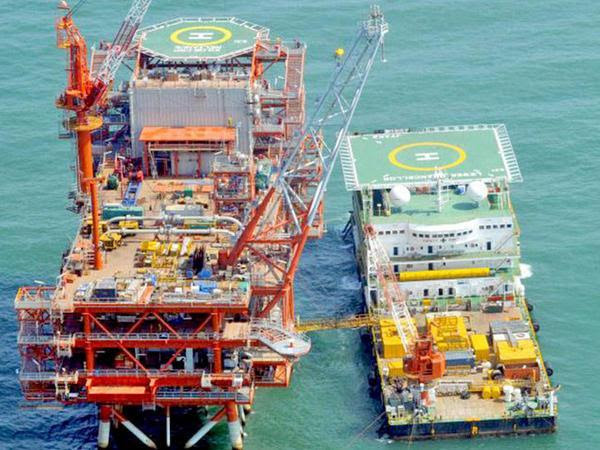 According to several media reports, ONGC has already inked a memorandum of understanding (MoU) with GSPC to buy a stake. There are sketchy details of this MoU being leaked to the press with no official statement by the company. Names of former distinguished civil servants are being bandied about as being part of some committee for this proposed transaction with no clear details on what their roles and responsibilities will be. This has all the trappings of a covert strike. GSPC’s proven reserves today are 1.1 tcf of gas in the KG basin, a tiny fraction (0.005 per cent) of the 20,000 tcf that Mr.Modi claimed in 2005. At current oil prices, this is valued at Rs.3,000 crore by most industry experts. If ONGC were to buy GSPC, then it has to not only repay the Rs. 20,000 crore of GSPC’s loans using its own cash reserves, but also incur substantial further expenditure to extract whatever little gas that is available. Should ONGC be splurging its cash reserves that belong to its shareholders in repaying suspect loans of GSPC? More importantly, there is a CAG report that has raised many uncomfortable questions that need to be answered. Will potential liabilities arising out of this CAG report be passed on to the unsuspecting shareholders of ONGC? It is true that 85 per cent of ONGC is owned by the Union government and its related companies. But it is also true that there are nearly 6 lakh other small shareholders of ONGC. Of these shareholders, 5.5 lakh own less than 1,000 shares and are spread across smaller towns, away from Mumbai, Delhi and Ahmedabad. Is Mr.Pradhan proposing that ONGC use the cash that belongs to these small shareholders to whitewash GSPC’s past sins? There are also nearly 200 foreign and domestic institutions that own shares in ONGC, albeit as minority shareholders. Do these shareholders not have a right to voice their opinion on whether ONGC should use its cash to bail out GSPC? The GSPC saga is not a mere case of a risky business bet going awry, as its protagonists would want us to believe. It is a cleverly orchestrated scheme of raising thousands of crores for spurious purposes of its masters under the guise of a bold business bet by a public sector company. The damning CAG report is threatening to expose this and hence the urgency in burying this under ONGC. Mr.Pradhan seems to have an investment banker’s penchant and flair for mergers and acquisitions of companies. In another recent development, he wants two other public sector companies — Indian Oil Corporation and Gas Authority of India Limited — to invest money and buy half the stake in Adani’s LNG company in Dhamra, Odisha. Mr. Adani’s LNG company was set up only in 2015 and has no meaningful assets or operations. It may be entirely coincidental or not that the board of Adani LNG and GSPC LNG have some of the same people. There have also been doubts raised over the recent ‘merger’ between Russia’s Rosneft and Essar Oil. Such blatant misuse of taxpayer funds through a too-clever-by-half deal-making has to end. The Securities and Exchange Board of India needs to step in to protect minority shareholders in the GSPC-ONGC transaction. The CAG and the judiciary will take care of righting the wrongs perpetrated in GSPC.